After winning a trophy using the Manfrotto 190CX Pro4 tripod, award winning technical writer Matt Grayson gives his review. In December 2007, tripod legends, Manfrotto announced their new line of carbon fibre units in the form of the 190CX, 190CXPro3 and 190CXPro4. There are three models in the range: CX Pro3, CX Pro4 and CX. The differences between them are the three and four segment legs and the non pro model doesn't have the adjustable centre column for off centre shooting. A close up detail of the carbon fibre material. If the PR of the CX range is anything to go by, the 190CX Pro4 is a hybrid of the 190Pro and 190MF offering the larger size of the Pro model with the magnesium and carbon fibre advantages of the MF. The main feature of the new 190CX is the 100% carbon fibre. This means a lighter tripod which Bogen Imaging, Manfrotto's UK distributor, says: "guarantees a higher load capacity and an increased height but with a lighter overall weight (-20%)". An interesting statement as it all depends on the model you're comparing it against. The 190Pro has the same load capacity of 5Kg, but the MF has a lower 4Kg tolerance. The maximum height is the same as the Pro but taller than the MF which means that the improvements have been made against more than one model of tripod. But does this matter? Well, that depends on your principles of whether you feel you're a victim of spin, but what you need to remember is that the new tripod takes all the best elements of both older tripods and combines them. 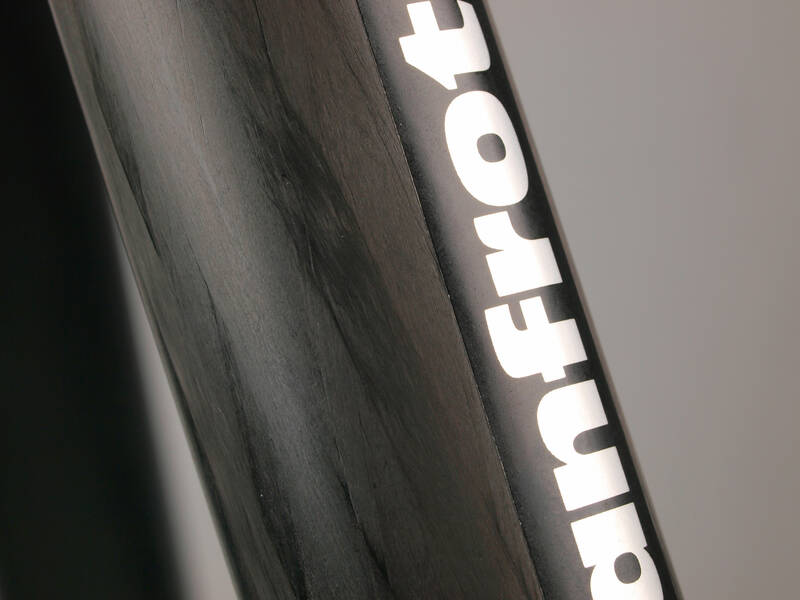 Other improvements that have been made include a middle-of-the-road 50cm closed length, a smaller overall minimum height, a 1.35Kg weight instead of the 1.60Kg of the MF and 1.80Kg of the Pro. The leg angles have changed slightly with a maximum 89° which is in the middle of the other two. If you use the leg angles a lot, you'll be pleased to know that you no longer have to break a thumb to release them as the design has been revamped and made easier to use. The vertical/horizontal feature of the Pro models has been improved upon and is now called the Q90 quick centre column system. The vertical/horizontal capability of the 190CX Pro4. 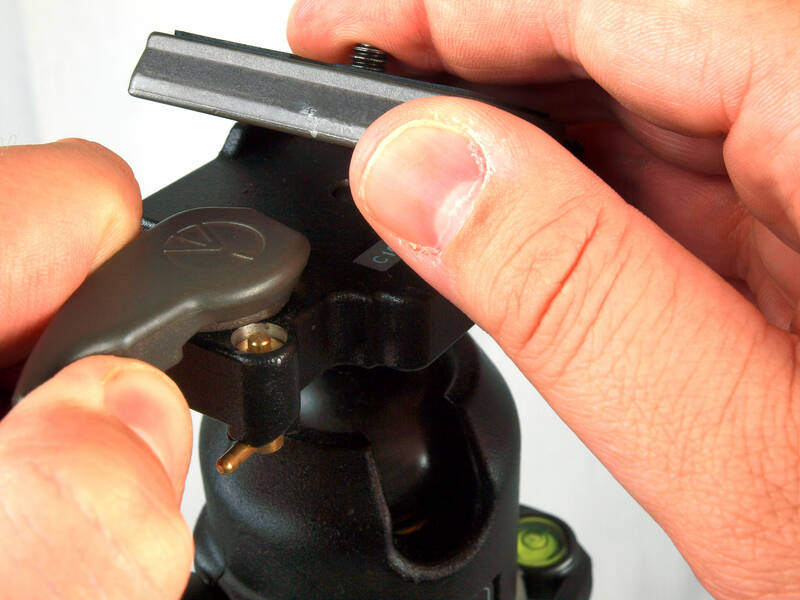 The quick release plate is the same as other heads such as the 804 RC2 which I looked at on the 055ProB review. A small brass lever locks the plate in place. The 486RC2 head is a ball & socket with one release lever at the bottom and incorporates the standard quick release plate also found on heads such as the 804 RC2 which is a three grip type. The head takes the three screws found on the magnesium top plate of the tripod and this is to prevent the two pieces unscrewing. The lever to release the lock of the ball also allows the head to rotate on a separate plate which is good for panning shots. However, remember that releasing this plate also releases the ball and socket, so there's a risk of the camera tilting if you have a long lens attached to it. Manfrotto are very proud of the new tripods not only because of the carbon fibre centre column but also for the design of the material itself. The carbon fibre is triple layered for strength starting with one layer then lay two further layers at opposing diagonal angles to created a mesh. Using this amount of carbon fibre means the tripod is very light and during the tests I had no issues carrying it in my hand or attached to my backpack. I used the Manfrotto 190CX Pro4 tripod and 486 RC2 head on a recent trip to Venice with the 35° sun beating down on me for five hours of photographic work. The tripod could have become a dead weight especially as I didn't have my tripod holster for the rucksack. The lion's head was photographed through a crowd so I fitted the 50-200mm lens to the Olympus E3 and with the battery grip, the weight soon built up. While shooting this image I discovered that the ball & socket of the 486 RC2 head can hold the weight of the body and lens even at an angle. However, it does have a tendency to sink when tightened. It means that I had to frame the image slightly higher than what I wanted to allow for it dropping when I let go. Bear in mind that this is because the equipment exceeded the maximum weight that the head could take and I was pleased that it still held. With a tight shot such as this, a lot of framing, releasing and reframing was needed to get the right crop after it dropped. However, my resolve paid off as the image won a competition arranged by the trip organisers. This detail shot used the 50-200mm lens and required a lot of reframing due to the weight of the equipment. 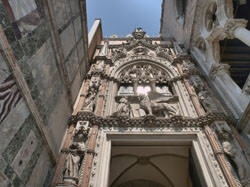 HDR shots can be achieved using a tripod. This one uses three images of differing exposures all blended together. A tripod is a necessary tool for HDR work and the shot of St. Mark's Cathedral has three exposures merged to get detail in the archway and to add colour to the otherwise flat sky. It also toned down the slightly overexposed facing wall. The window over exposed at all exposures due to the sun being so bright. 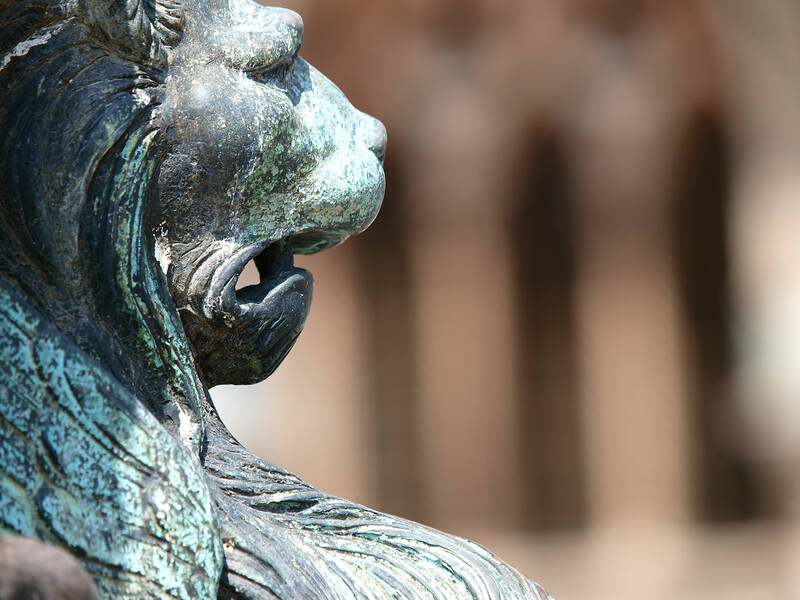 This macro image was easy work for the 190CX Pro4. 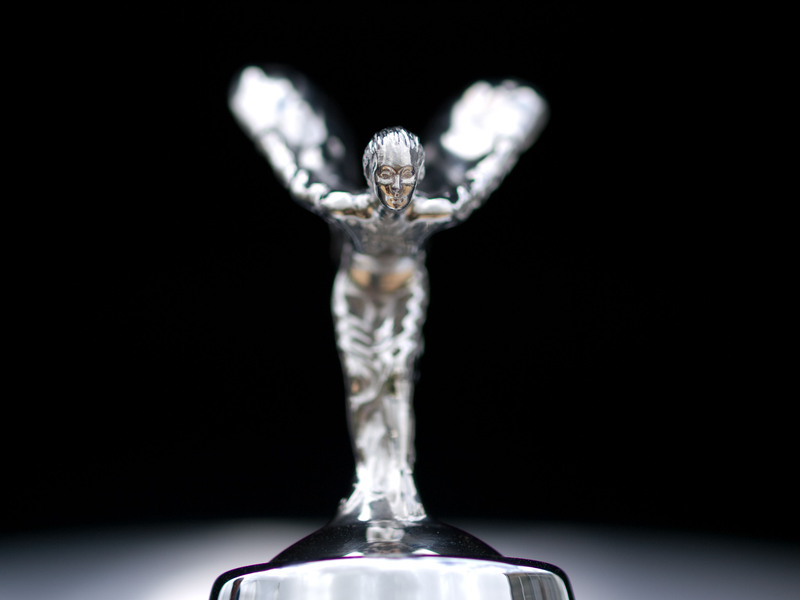 The picture of the Flying Lady was taken on the Rolls Royce stand at Goodwood Festival of Speed. The bonnet on the Phantom was up so made for a great backdrop. The 50mm macro lens is a very precise focusing tool and the 190CX Pro4 helped me get a pin sharp image of the face with the wings blurring out into the background. Interestingly, I also tried a test of the tripods strength by not extending the legs and using the centre column instead. This normally causes shake and it did but because I used a self timer and there was no wind, the shot still came out sharp. If there was a strong wind, the tripod wouldn't have coped. 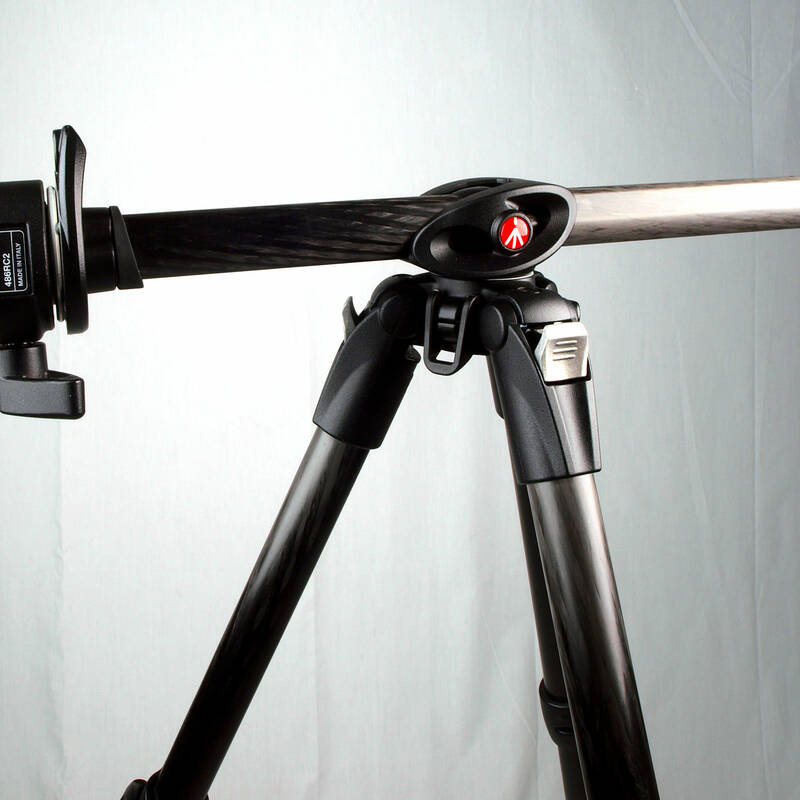 For the photographer that likes to go on long walks or travels then this tripod could be a godsend. It's strong, versatile and light enough to put in a suitcase without detrimental effect to the weight. For the size that it is, I think the price is too high. Even without the head, £228 is expensive for a travel tripod. I understand the prestige of Manfrotto and I can guarantee the positive points listed below. I still feel that I'd rather save £100 and carry a bit of extra weight with me. Be careful when looking at the improvements they've made on the tripod. Because it's a hybrid of the 190Pro and 190MF, the manufacturers have taken the positive points from the two different products. The Manfrotto 190CX Pro4 costs around £228.99 and is available from the ePHOTOzine shop here. 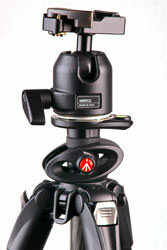 The Manfrotto 486 RC2 head costs around £48.99 and is available here.